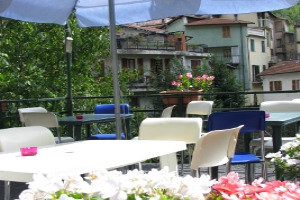 Enjoy afternoons along the Argentina and Capriolo rivers in Liguria, Italy. The parish church of San Lorenzo is built in Baroque style. It preserves a sixteenth-century triptych by Emanuele Maccario, while the well-preserved black stone portal and the bell tower are from the fifteenth century. The sanctuary of Nostra Signora della Bontà is an example of Romanesque architecture and preserves fifteenth-century frescoes and a painting by Antonio Monregalese (1435). 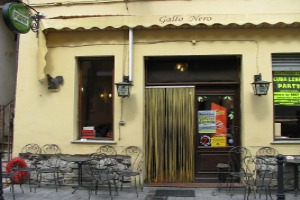 One of the events which has become permanent on Molini’s events calendar is the Sagra della Lumaca, the snail festival. This festival which is now 50 years old, is held every year. The four recipes on offer, accompanied by excellent Ormeasco wine and the typical speciality of bread with "bruzzo" (the spicy ricotta cheese produced in the hinterland areas), attract food-lovers from all over Liguria. Visitors who enjoy excursions can follow the ancient paths connecting the various municipal districts or walk through the chestnut woods up to Colle Langan and then continue through the mountains or as far as the Teglia Pass (1387 m.), which is the gateway to the Argentina and Arroscia Valleys. Besides trekking, Molini also offers you the chance to do some free climbing and river canoeing. There are wonderful places in Molini di Triora for free climbing; and all climbing enthusiasts will feel as if they are in paradise. Those who prefer to remain on the ground can go hiking through the chestnut forests and across Colle Langan, then farther across the Alps up to the Teglipass (the entrance to the Argentina and Arroscia valleys). Another possibility is to take a walk along the access paths to the local cliffs. If you prefer to travel while seated, then an exciting canoe ride along the river is the right thing for you. In Triora there is a lake which beckons both old and young for a splash and relaxation. 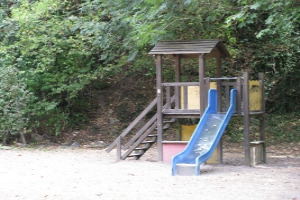 There is a track leading back to the village from behind the adjacent playground. 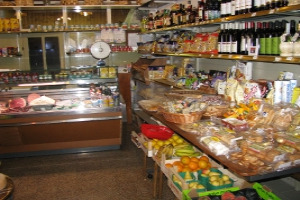 The Largo Dango at the entrance to the village of Molini di Triora is another good tip. Turn left before you reach the village and follow the street uphill until you see the sign for the walking path "Largo Dango"on the right-hand side of the street. Follow the winding track until you see the waterfalls. 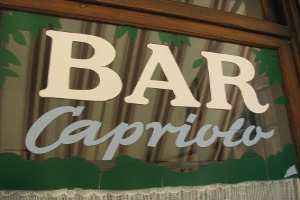 The town with twenty-three watermills along the banks of the Argentina and Capriolo rivers was first mentioned in the thirteenth century, although its origins are much earlier. Along the thousand-year-old Via Marenca, between the Teglia and Mezzaluna Passes, excavations have found a sacred area with a two-metres high prehistoric menhir and an engraved stone altar. On the peak of the rock called the Rocca di Drego (which stands at a height of 1080 metres over the River Argentina), there are the remains of a pre-Roman castle. 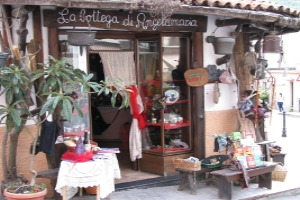 The territory has a number of places of historical and artistic interest: the village of Corti, the slate portals in Andagna and the mediaeval village of Glor are just a few examples. Molini, which only became an independent municipality in 1903, suffered violent Nazi reprisals during the second world war. 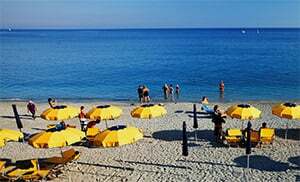 Molini di Triora belongs to the municipality of Agaggio and is one of the villages in the province of Imperia which lies in the Liguria region. 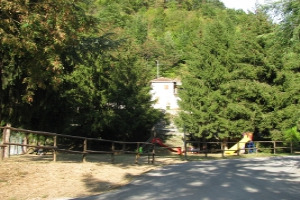 There are several other villages near Molini di Triora, for example: Grattino (5.7 km), Loreto (7.6 km) und Cetta (9.8 km). From the highway exit to Arma di Taggia, take the SS548 and drive past Badalucco and Agaggio Inferiore, then you will reach Molini di Triora.